Social Security Disability Insurance, or SSD, is a government-funded program managed by the Social Security Administration (SSA). The program is funded by payroll tax contributions; it covers every employee paying into social security. However, just because you’ve been injured doesn’t automatically mean you’ll get SSD benefits. In fact, the majority of Louisiana’s SSD applicants are denied benefits during the application process—approximately 65 percent of initial claims are denied. Rejected claims are typically the result of missing records, improper filing, or lack of legal advocacy. 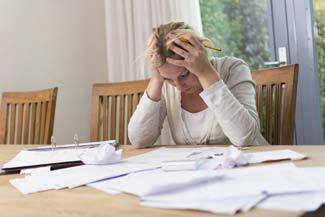 If your Social Security Disability (SSD) benefits have been denied, don’t panic. Below, the social security disability lawyers at Cox, Cox, Filo, Camel & Wilson explain Louisiana’s SSD appeals process. The SSA usually decides an initial claim within 65 days of receiving the application. Once decided, a letter is sent to the applicant explaining the status of the claim. The letter will contain a description of your condition, what factors and medical records were considered, and a detailed explanation of the decision—most initial claims are denied. If the applicant is denied, they can begin the appeals process. Contrary to what you might think, appeals can have a better chance of approval than initial applications. The first step, in the majority of states, is to apply for reconsideration. However, in 2014, Louisiana became one of 10 states selected to participate in a test model that removes the reconsideration step. Currently, Louisiana residents are exempt from this step. According to the SSA, modifications to the disability determination procedures will end December 2018. At this time, the determination process may include the reconsideration step. Call Cox, Cox, Filo, Camel & Wilson at 337-240-9349 to discuss what disability determination procedures are relevant to your claim, or learn more online. As a resident of Louisiana, your first step is to request a hearing with an administrative law judge (ALJ). The request must be made within 60 days of receiving a denial letter. Waiting for a hearing can be a tumultuous ordeal. On average, it takes more than a year to receive a hearing, during which time medical bills and lost wages produce significant financial strain for injured workers and their families. An experienced SSD lawyer can help ensure you receive benefits, which could include back payments from when you first became disabled. Your hearing may include vocational experts as well as medical professionals who will offer their opinions regarding your condition. You can also bring your own witnesses to help bolster your case. Applicants will receive the judge’s ruling letter within 30 days of the hearing. In Louisiana, about 50 percent of appeals are approved after a ALJ hearing. If your claim isn’t approved, there are two more steps to take in the appeals process. If the ALJ denies your request, you’ll need to request an Appeals Council review. The request to have your case looked over by the Appeals Council must be done in writing, using a specific form. Like before, you’ll have 60 days after receiving the ALJ’s decision to request a review by the Appeals Council. Appeals must meet specific criteria to move forward. For example, new or additional evidence should be available to support your case and a reasonable probability this evidence would have changed the ALJ’s decision must exist. In most cases, the Appeals Council chooses either the first or second option. Only a small percentage of claims are approved by the Appeals Council. If the Appeals Council denies your claim or sends it back to an ALJ, you’ll be granted another 60 days to file a civil complaint at a United States District Court. At this point, you will need to hire a Louisiana social security disability attorney. Your lawsuit will not be against the SSA directly, but rather against the current acting Social Security Commissioner. Once the complaint is filed, you will receive a court-issued summons to serve to the local SSA office. Their lawyers will reply with an answer that elaborates on why your claim has been denied so far. You and your SSD lawyer will need to write an opening brief, the SSA will reply again, and you’ll have an opportunity to construct a reply brief. Next, a judge will look over your case and make a final ruling, a process that can take a year or longer. Appealing a denied disability claim isn’t a simple process—it can take years of waiting to make it through a single step. Furthermore, you’ll be responsible for gathering tons of information, keeping track of countless medical records, and filling out endless paperwork. In short, it’s not something you want to go through alone; and with Cox, Cox, Filo, Camel & Wilson on your side, you don’t have to. Our office is proud to serve Lake Charles residents and injured workers throughout the state of Louisiana. If you’ve been injured and are no longer able to work, call us at 337-240-9349 for a FREE consultation. If you work in Louisiana, be sure to ‘like’ Cox, Cox, Filo, Camel & Wilson on Facebook for important updates and legal news you need to know.